Homer Earl Capehart (June 6, 1897 - September 3, 1979), was born in Algiers, Indiana. During the First World War, he served as a Sergeant in the United States Army Supply Corps, but was never sent overseas. From 1919-1928, he held a variety of jobs selling milking machines, tractors, plows, and popcorn poppers, finally working his way up to sales manager for Holcomb and Hoke Manufacturing Company in Indianapolis, Indiana. 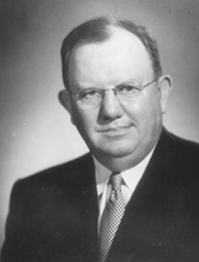 He founded the Capehart Automatic Phonograph Corporation of Fort Wayne in 1927. This company manufactured coin operated machines and home radio-phonographs under the name Amperion. He was forced out of the company by investors in 1931 after the Smalls record changer had a disastrous failure. The home appliances (Amperion) division was purchased by Philo Farnsworth the inventor of Television. 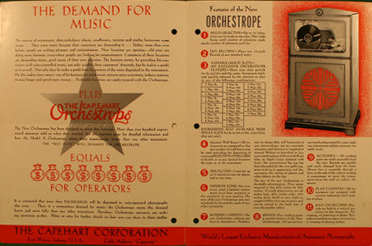 In 1932 Capehart formed the Packard Company that acquired and refined the Simplex mechanism for automatic record changing, and sold the device to Wurlitzer. 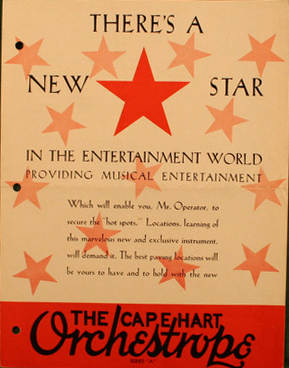 Capehart went to work as operations manager for Wurlitzer and his aggressive sales techniques and superior programming skills brought Wurlitzer to the top of the Jukebox market. 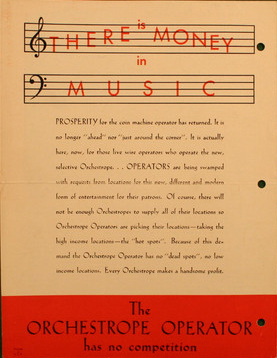 His attachment to the Simplex mechanism kept Wurlitzer isolated from technology developments and contained the seeds of that company's demise. Packard was inactive between 1932 and 1939.